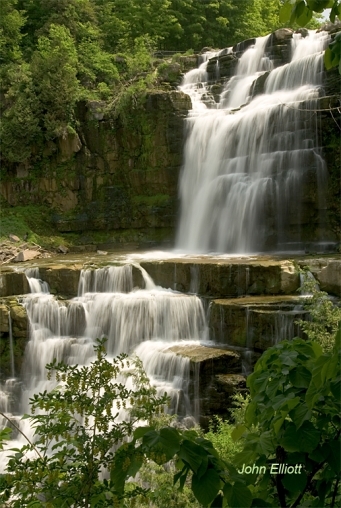 Chittenango Falls is very accessible to visitors. This photograph was taken on the walkway leading down to the base of the falls. This is one of the few locations where you will find a forground to include in the photo.